pplied to increase transparency and, in turn, build trust. Over the past few decades, the food industry has trended towards being more transparent about ingredients and has sought to build a stronger connection to the source of our food. This has come to life in trends such as “farm to table” and “foraged foods,” as well as in more transparent packaging design that brings the ingredient list to the front of a package. This movement has been driven by consumers’ desire for honesty and their general distrust of Big Food. In fact, a study by Label Insight reported that 75% of respondents do not trust the accuracy of food labels. Consumer demand – combined with the recent uptick in food scares – means that it is more important than ever to be able to track foods from farm to shelf. This is where blockchain comes in. Blockchain can be used to make food supply transparency that much more real, concrete, and accurate, creating a fully trackable supply chain. Significantly, IBM is partnering with retailers such as Walmart and Kroger – as well as suppliers like Nestle and Unilever – to build and test the IBM Food Trust. 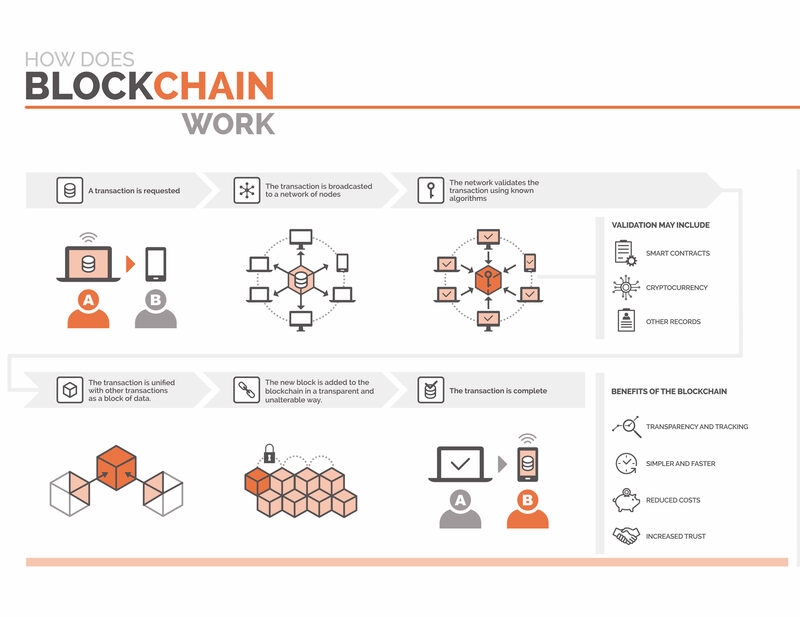 This is a blockchain traceability solution, which will allow companies to trace where a food product came from much more quickly, follow it through the supply chain from the source to the ultimate retail store, and access more complete data. Provenance is a U.K.-based company offering a similar product to manufacturers, retailers, and consumers. The platform allows manufacturers to bring more transparency to how their food was grown and produced, while giving consumers data to empower their purchase decisions, such as providing ingredient verification for allergy avoidance. ShipChain is a freight and logistics platform built on blockchain that will facilitate shipment tracking, and is conducting a pilot program with Perdue Farms. Other vendors playing in this space include Microsoft, Mojix, and WAVE. Similarly, blockchain can help marketers by inviting transparency and creating more trust in branded media campaigns. The current environment, which also represents a supply chain, is difficult to track, leading big advertising spenders like P&G and Unilever to demand more accountability and take their marketing dollars elsewhere. For example, P&G cut its digital ad spend by $200 million in 2017 alone and reported that doing so actually increased the investment’s effectiveness after applying it to alternative marketing channels. Beyond just cutting spending, some marketers are working with partners on making digital media buying more transparent. For example, Unilever is partnering with IBM to create a system that gives more visibility to what is being purchased and where ads are being placed. This application of blockchain will likely also provide more accurate audience measurement and make it easier to reconcile and measure the impact of what is purchased and delivered. The Interactive Advertising Bureau (IAB) is actively exploring this space, given the importance of the issue for the industry. Food brands should pay attention to blockchain-based solutions, especially since we are still in the early days of the application of this technology. These current platforms will ultimately help to create more transparency in a brand’s supply chain, increase the value proposition for consumers, and make marketing spending much more efficient.